Pigeons are often maligned as pesky urban pests, unbeloved birds endlessly bumbling for breadcrumbs underfoot. But despite their less-than-stately reputations of late, pigeons in the past have proven to be nothing short of heroes. In October 1918, during the bloody final weeks of World War I, New York's 77th Infantry Division became stranded behind enemy lines in France, suffering heavy losses from the advancing German Army. More than half the troops in the unit, known as the "Lost Battalion", were killed or captured in the ensuing battle of Argonne while the nearly 200 men that remained struggled to alert headquarters for assistance beneath a barrage of artillery. To make matters worse, their location was misreported as an enemy position, exposing them to friendly-fire as well. 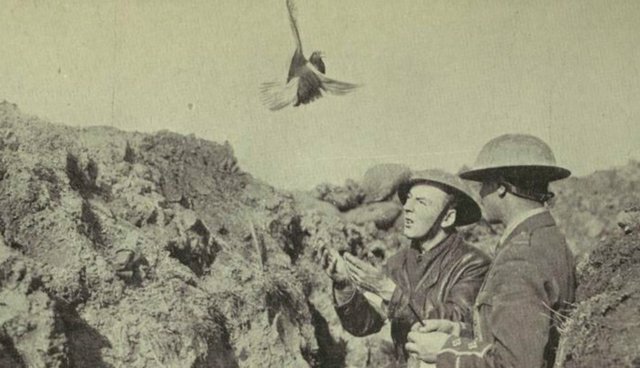 When other attempts at communication failed, the battalion tried relaying word via homing pigeon. A bird was released carrying the message, "Many wounded. We cannot evacuate." It was cut down by enemy fire moments later. Another pigeon was sent with the message, "Men are suffering. Can support be sent?" but it was shot as well. 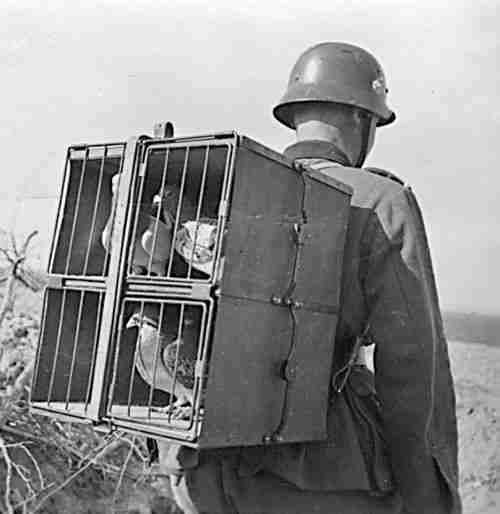 As munitions and food dwindled with both friendly and enemy fire continuing to rain down, the imperilled unit turned to their one remaining pigeon, named Cher Ami, in a last-ditch effort to get word out. Troops watched as that bird too dropped from the sky struck by a bullet, then incredibly take flight once again -- successfully completing the 25-mile journey to headquarters even after being shot in the chest, blinded by shrapnel, and losing a leg, delivering the desperate message. "Our artillery is dropping a barrage on us. For heaven's sake, stop it!" 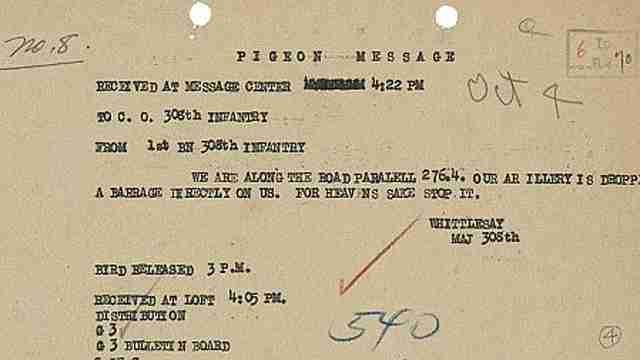 Thanks to the pigeon's dedication in the face of danger, the 194 surviving soldiers of the 77th were saved. For his show of valor, Cher Ami was awarded the Croix de Guerre, a decoration awarded to foreign troops by the French Army, as well as other honors by the United States. But despite receiving world-class medical attention -- including a prosthetic leg -- the heroic pigeon died from complications a year later. 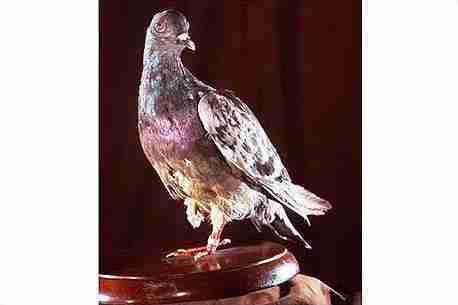 Cher Ami's body was later put on display at the Smithsonian Museum in Washington DC. But Cher Ami was not the only heroic bird to save lives. More than 30 pigeons employed during World War I have been hailed for their service, receiving the the Dickens Medal -- an honor bestowed upon animals that exhibit "conspicuous gallantry" during times of war.